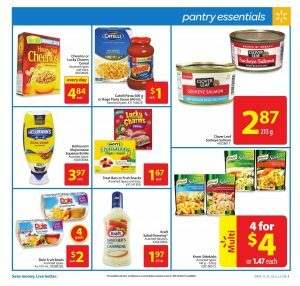 Today , I will give you some details about Walmart Flyer July 6 2017 including unbeatable offers that you will save more ! First of all, I have to say that this flyer has everything. Lots of parts such as meat , deli , produce , pantry essentials , snacks , frozen , household , pet , camping , toys , home , automotive , electronics , apparel , baby and many more can be browable here. If you want to get though all needs from one address , you are correct address ! Some parts have been checked by me for you. I will show you some items. If you need some of them , you should catch up them. 1000’s of products on rollback in their stores. There are 3 products on part of electronics you need to see here. Selected console games are on sale! I’ve came across lower prices on every pages of this flyer in general when I browsed it. In addition , they give 100% satisfaction guarantee for your selections. If you don’t like their products , you can get the money back. Also , you should hurry up for some selected products. Some products has limited time. For example ; Cashmere original bathroom tissue (48 rolls) is on sale up to $6.04. It has limited time. Low prices every day on many parts ! If you have a plan for shopping on this week and want to save more , first of all you should check this flyer. Many fresh , good looking and high-quality selections can be found here. Also , Various new selections are waiting for you to be discovered. Let’s try new tastes ! 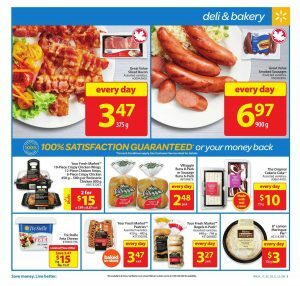 Maple leaf fresh chicken split wings , $4.97 lb. Your fresh market atlantic salmon , $11.97 lb. Maple leaf fresh pork loin rib , $2.97 lb. You can check other pages if you want to see more discounts , products and deals. Also , you can make your own shopping list easily by clicking the buttons on the right of seletions on this article. Enjoy shopping with their special options. Here you go !